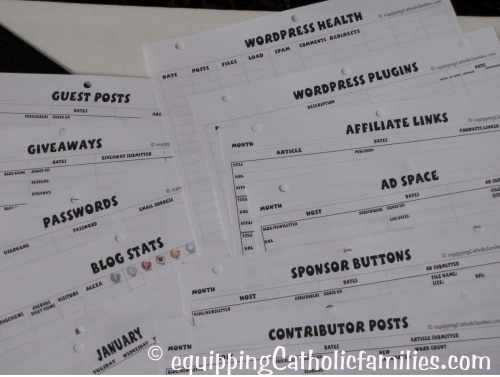 I think I’ve got a good set of templates here and I plan to add additional templates as I think of them or as they are recommended…to make this blogging thing a whole lot easier to keep a track of! 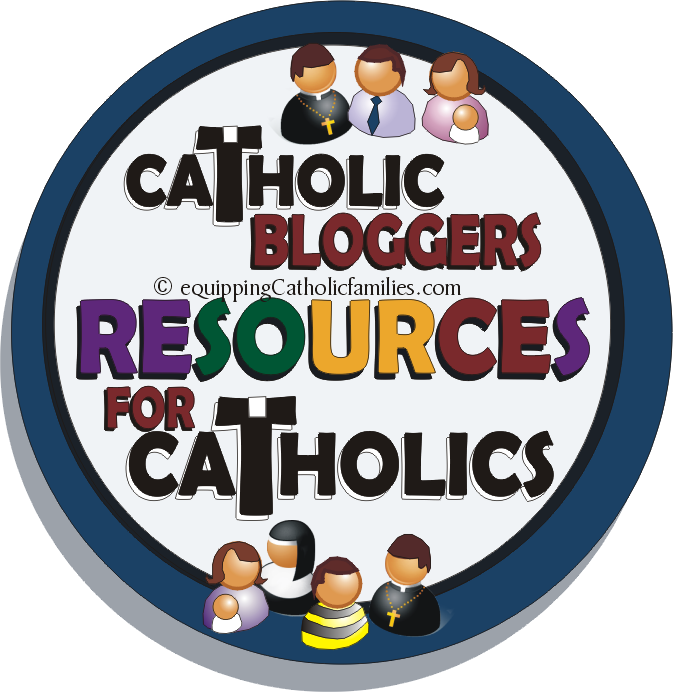 This is ANOTHER FREEBIE for subscribers of Equipping Catholic Families! 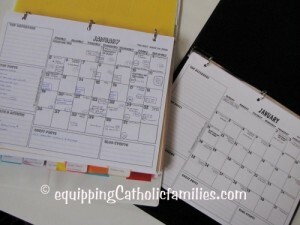 Your effort to subscribe (or confirm that you subscribe) to Equipping Catholic Families helps me to make important decisions …and impacts how FREE printables will be made available! Thanks for your help! 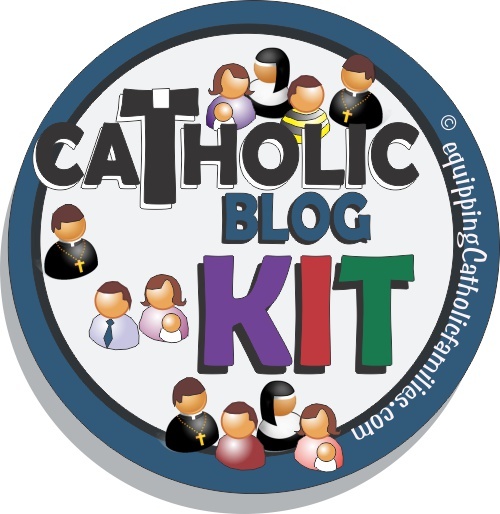 Pick up your FREE Catholic Blog Planner by clicking the Add to Cart button below! Through email, bloglovin, and facebook.. Thanks for this resource! I subscribed via email and also check your Facebook page. I’ve just discovered your site via the Catholic Bloggers Network on FB. I’m always looking for ways to make my editorial calendar more useful, and I’m looking forward to giving your templates a try. Thanks! I just subscribed with the download. I found your site through the IBN facebook group. 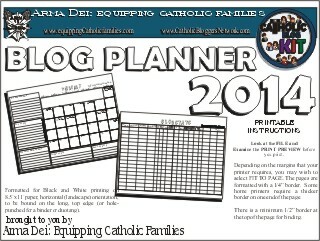 Thanks for sharing your blog planner. God Bless! Found you though CWBN. Thanks for the resource. I am small time blogger and haven’t been blogging long, so just looking at this has me a little overwhelmed but I hope it will help! Thank you so much for making it available! Staying connected through Facebook. I came across your cite a while ago (a year or two) and fell in LOVE with it and your shoppe. I have been subscribed ever since. As I have a very busy schedule I really rely on your email updates to stay in touch. Retired for just over 3 years, but still trying to get organised; health and time issues keep coming in the way. Trying to cope with this burning desire to pass on to others what I have learnt over the years, through books and rather extensive personal experiences. Thanks for doing the work for us! 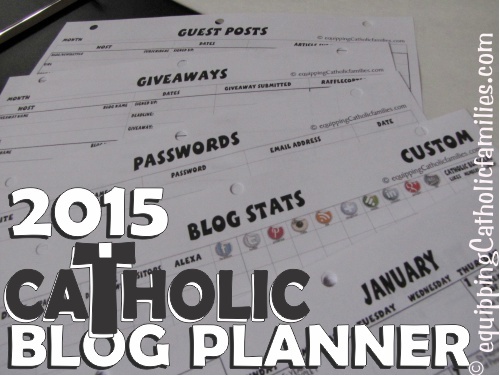 I look forward to watching your blog this year and using your planner! I follow you through email. Thanks for the great planner! 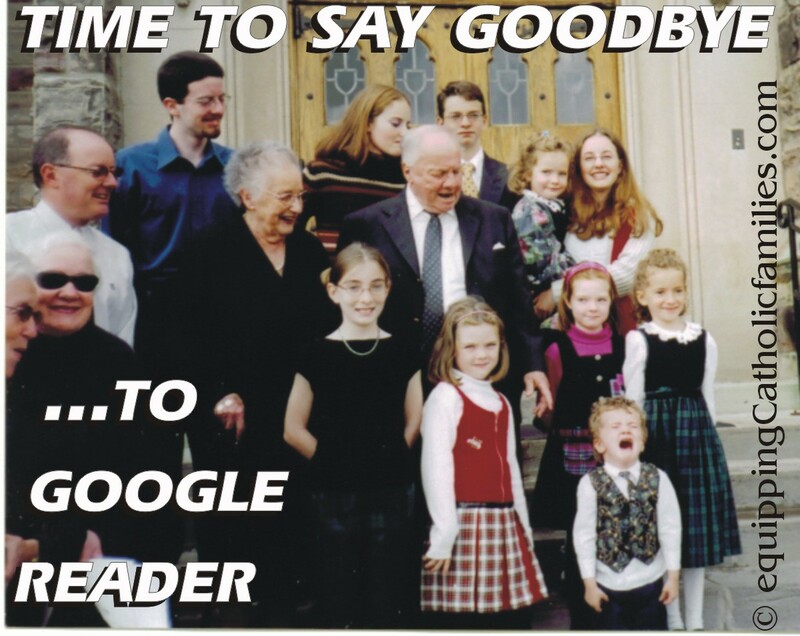 I follow you through Bloglovin’ (love that service), FB, and email. God bless! Email, FB, and just stopping by b/c I love what you share!! I found your site through pinterest and just subscribed by e-mail Thanks! Facebook and Pinterest … and I just subscribed by email! Facebook and Bloglovin. Thank you for your generosity! email, website and Facebook. Thank you for sharing!